Few charitable giving options provide the versatility and tax efficiency that donor-advised funds do. A donor-advised fund is a charitable giving vehicle administered by a community foundation or other qualified third parties and is created for the purpose of managing charitable donations on behalf of an individual, family, business or organization. Donor-advised funds are one of the most efficient charitable estate planning tools available to anyone looking to create a legacy of charitable giving that can last for many generations. Donor-advised funds provide donors with flexibility and convenience along with the full tax advantages associated charitable giving. A donor-advised fund offers the opportunity to create an easy-to-establish, low cost, flexible vehicle for charitable giving as an alternative to direct giving or creating a private foundation. Donors enjoy administrative convenience, cost savings and tax advantages by conducting their grant-making through a donor-advised fund. Community foundations pioneered the development of donor advised funds, and they are now the fastest growing charitable giving vehicle in the United States because they offer donors the flexibility to direct their charitable gifts from one easily administered fund. Enjoy an immediate tax deduction. Contributions are fully tax deductible in the year they're made. Flexible support. Donor-advised funds offer the flexibility to contribute to variety of nonprofit organizations and charitable causes through one simple fund and provide the donor with the opportunity to direct their charitable giving every year. When donors give a major gift directly to a nonprofit organization, their gift is irrevocable. When donors give through a donor advised fund, their gifts can change every year, at the recommendation of the donor. This flexibility is very appealing to philanthropically inclined citizens. Separate tax planning and charitable decisions. Immediate tax advantages through contributions can be achieved now and grants can be recommended to charities later. Donor advised funds can help eliminate the year end pressure to select a charity and make a grant. Create a legacy of giving. Donors can create a donor advised fund in honor or memory of a loved one or their family. They can select successors’ advisors to their fund who can continue their charitable legacy by recommending grants beyond the original donor’s lifetime. Donate appreciated securities tax-free. Donors can give appreciated securities to a donor advised fund and immediately deduct their fair market value from their taxes, without incurring any capital gains liability. Record keeping made easy. Donor-advised funds provide consolidated reporting and record keeping. 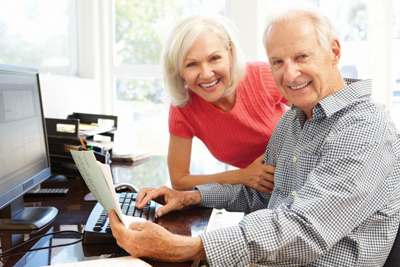 Donors receive semi-annual account statements, gift receipts and IRS ready tax information. There is no need to draft trust documents or file an individual tax return for their fund. Confidentiality. Donors, if they prefer, can make grants anonymously, so that their name and personal information will not be known. Why Establish a Donor-Advised Fund? The donor cares deeply about his/her community and charitable organizations that serve it well and want to see their community grow and prosper today and in the future. Donors want the flexibility to be able to decide how charitable donations will be used and not be locked into one charitable organization. They can decide what charitable organizations and causes to support each year. Donors want to receive the maximum tax benefits for their charitable contribution under federal and state tax law. Donors want to support important charitable causes, organizations and community needs, and make a significant and lasting impact on their community. Donors want to establish a legacy gift to honor their family or a loved one. Donors want their gift invested prudently and managed professionally so it will grow over time. Donors want to support their church for the long term and still receive a 25% state of Iowa tax credit on their gift. Donors want to establish a fund that does not have the costs, taxes associated and other obligations required of a private foundation. Donors want to set up a fund using a simple process that requires no set up fees, filing fees, taxes or legal or accounting fees. For more information on donor-advised funds, contact Randy Kuhlman, CEO, at 515.573.3171 or rk@fd-foundation.org.